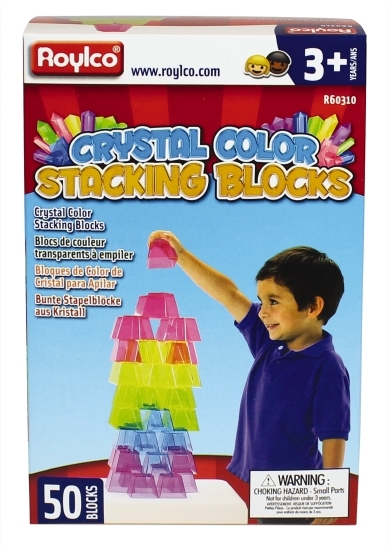 Turn simple stacking into a sensory experience! The blocks stack easily with the help of specially designed grooves. Use the grooves to align the blocks at various angles and create new tower designs. Overlap different block colours to explore colour mixing concepts. Create amazing designs and glowing tower on your light table. Includes 50 blocks, each measuring 50 mm x 60 mm.